At K C Locksmiths & Son we bring you the benefit of over 40 years experience working as fully qualified Brighton Locksmiths. We install, repair and maintain locks and security equipment at the highest level of service for the residents of Brighton & Hove and the surrounding area. There are many locksmiths in Brighton but we can assure you we are the best - you won't be disappointed when you call us to take care of any locksmithing emergency in the Brighton area. We always use quality brands of cylinder locks, transponder locks and multi-point locks. We even supply the highest quality replacement car keys, including individual transponder keys. We also offer CCTV, keyless entry and alarms systems to ensure personalised security for your premises or home safety. Contact us for your obligation free quote. All our UPVC windows and locks use diamond approved/3-star kite-marked cylinder locks for strength and durability. We are here for your peace of mind 24/7. K C Locksmiths & Sons’ key cutters can replace keys for any lock system around the clock, ranging from home cylinder locks, door locks, car and office keys. Why Use K C Locksmiths & Son? At K C Locksmiths & Son we combine over four decades of master-class experience with a friendly, customer focused service in the Brighton area. We have a RAPID response guarantee – We’ll be at your door within 30 minutes of you speaking with one of our experts. We charge ZERO VAT on purchases – For a limited time only you will pay zero VAT on any purchase. We are POLICE approved – All of our master tradesmen have undergone background checks and the police have approved our services. If the law trusts us, so can you. We sell only the BEST hardware – Whatever you are looking for from home alarm systems to CCTV to UPVC windows - we sell only diamond approved-quality, reliable and top-notch replacement locks and keys at competitive, affordable prices. At K C Brighton Locksmiths we bring you the benefit of over 40 years experience working as fully qualified Brighton Locksmiths. All of our locksmiths have undergone background checks. Our customer focused approach is sure to fit your needs. We’re a family run business, we keep things simple, affordable and friendly. Call KC Brighton Locksmiths on 01273 634 001 – 24 hours a day, 7 days a week. At K C Locksmiths & Son we combine over 4 decades of master-class experience with a friendly, customer focused service. We are the best at what we do and our long line of satisfied customers in the Brighton area will testify to that fact. Just moved to Rottingdean, my old locksmith recommended KC. I had a broken Patio door lock and couldn’t leave it that way, so I called KC Locksmiths & Sons. A locksmith arrived almost immediately and had it fixed. Whatever You Need, We’ve Got It - We keep our vehicles stocked with the latest security hardware at reasonable prices. What does this mean for you? It means you can guarantee that wherever possible the necessary work will be completed on our first trip. Don’t deal with service providers who will run back and forth, charging you for each call-out who may take weeks to order what you need. We will get the job done first time around. We Invest in our Staff – The home security industry is always changing and evolving. We make sure our people are up to date with everything by continually investing in developing their knowledge, skills and expertise. We don’t just have 40 years of experience to draw upon; we keep a keen eye on the future as well. Friendly Personal Service - We’re a family run business, and we keep things simple, affordable and friendly. Our customer focused approach is sure to fit your needs. Competitive Prices - We keep our prices highly competitive. We don’t charge call-out fees, we don’t have any hidden charges, and for a LIMITED TIME ONLY we do not charge VAT on purchases. We Take Care of You - We offer discounts to old age pensioners, victims of crime and students. No matter what your situation, Hamilton Locksmiths in Brighton has got your back! Legitimate Tradesmen - Some customers are concerned about the character of tradesmen they call-out to their homes, and rightly so! There are plenty of “cowboys” out there, and the last thing anybody wants is an undesirable character with intimate knowledge of their home security system. That’s something you don’t have to worry about with us as we are POLICE APPROVED and all of our master tradesmen are legitimate with background checks complete. Free Quotes & Estimate - We offer a 24/7 obligation free quote and estimate service. Just give us a call and we will give you the advice you need. Our Brighton Locksmith service is rooted in the Brighton area, but we can help customers in surrounding locations too. We often find ourselves to the East in New Haven, Peacehaven, Lewis and even down in Seaford and Eastbourne. We look after a lot of clients in Hove, Shoreham-by-Sea, Worthing, Littlehampton, Rustington, and as far as Bognor Regis and Chichester to the west. We travel up towards London as well, including Burgess Hill, Haywards Heath, Washington, Horsham and Crawley. In locksmith emergencies in Brighton we can generally get to you within an hour, but the further you are away from us the longer it may take. Don’t worry; we are on our way. We don’t have a set-in-stone price list for services because each of our clients comes to us with a different requirement. However what we do promise is that our prices are competitive, and our quotes are transparent. We will let you know how much our Brighton locks and security service will cost before we do work, so there are no nasty surprises. We have hundreds of happy customers in our portfolio, and are continually getting referrals from existing clients, and this happens because we are a fair, local Brighton locksmith provider that does business the right way. Our role as a locksmith in Brighton transcends just working with window and door locks. Our aim is to help our clients feel safe and secure in their property and to protect their automobiles. We can, therefore, provide advice on alarm systems, CCTV and the latest door entry systems. If you’d like to have a chat with a home security expert in Brighton, get our advice to help you feel safer, then fill out our online form or give us a call today. We are commercial locksmiths that pride ourselves on the quality of service that we provide. With decades of Brighton-based locksmith experience behind us, we can combine the best traditional techniques with modern locksmith techniques and technologies to ensure that you get a supreme, all-round service. Integrity is central to our service, and we are sure you will be impressed by the knowledge and skill that we bring to your locksmith project. From safes locks to car keys, uPVC windows, locks with keys of any kind, please call when you need us on (01273) 634001. Where possible we will always attempt to use non-destructive entry when attemptin entry or to replace your locks. 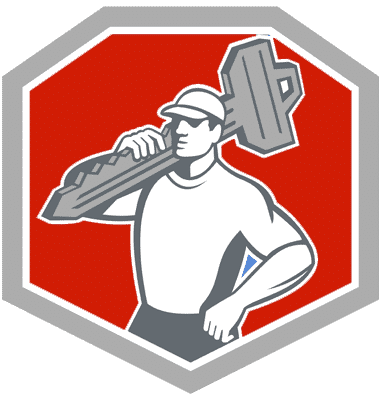 The Master Tradesmen at KC Locksmiths are fully trained and regularly updated with advances in home and commercial security and their aim is to make you feel more secure and safer in both work and at home. With discounts offered for students, pensioners and victims of crime, we guarantee that by calling us in the event of a local emergency will mean a master locksmith will arrive to secure you home once more within 30 minutes. We pride ourselves upon this service and have been working alongside the Brighton & Hove City Council Police Force for a number of years to advise K C Locksmiths with the practical securing of a property after a break-in has been reported to the police. Locks are a part of our everyday lives. Subsequently, at some point or another, we have to make decisions with regards the locks we use. At Brighton Locksmiths, we provide a wide range of locksmith services, covering doors and windows, alarm systems, safes, car keys, garage doors and so on. Our services are available all over Brighton and our locksmiths are knowledgeable and experienced. Whether you have a lock emergency that needs urgent attention or a less pressing, but equally important situation, we are always available to help. Whether commercial or private premises, we can meet your lock requirements, wherever you’re based in Brighton. As long as you’re located in Brighton, our services are available to you. We provide services to homes (big or small) and commercial properties such as offices, hotels and manufacturing buildings. We offer round-the-clock services and can work within your specific timeframe for your convenience. Are you locked out of your house or car? Is your child locked in? Did your lock suddenly stop functioning? Is your alarm system acting strangely, sounding ‘false alarms’ or has no signal at all? Whatever your lock emergency, call us and we’ll get a local lock engineer to come out as soon as possible, regardless of where you are in Brighton. If you’ve just moved to Brighton and want a security system to match what you had at your previous location, contact us and we can provide the best solutions available. Our services also include professional security checks to ensure your locks are as secure as possible and offer a high level of protection. We have lock and security experts on hand, specifically for this purpose. They understand security systems in Brighton and can go as far as is needed to make certain you have the best options at your disposal. Furthermore, we provide, configure, maintain and repair alarm systems in homes and commercial buildings across Brighton. The alarm systems we provide are top notch and have a high success rate. 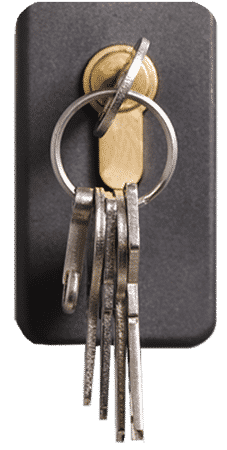 If you’re worried about not having spare keys – or enough to go round everyone who requires a set - we provide key cutting services in Brighton and can make duplicates of any kind. You can visit us with the keys you need to duplicate or send us an image with which to work. We also repair and maintain your locks and security systems. We offer repair and replacement services after a burglary, such as removing and replacing damaged wood and locks; fixing structural problems; supplying replacement wood and locks; as well as security checks and security systems installation, regardless your location in Brighton. Our locksmiths are familiar with Brighton and won’t just offer advice based on their experience with locks. They understand building structures and patterns used locally, as well as which security measures are best for different areas in Brighton and so on, which means you’ll receive advice that surpasses technical requirements. Our locksmiths are highly trained and experienced in carpentry as well. Therefore, you don’t have to worry about calling multiple vendors for one task. If you need an extra fitting or repairs to your frames or security system, they can take care of it. Thinking of customised security systems? If you need security systems such as biometric locks or other lock solutions (designed or configured just for you), we can make it happen. We can take note your requirements and specifications and provide the best solutions for your customised security system. With 40 years of experience, certified tradesmen, a rapid response policy, guaranteed standards of work and all the hardware you might need, Hamilton Locksmiths are your number one choice! We live in a dangerous world, but do not worry, by taking some inexpensive and relatively easy to implement measures most burglars and intruders can be deterred. Did you know that statistics prove that most thieves in the UK have been proven to be opportunists and not professionals? That’s great news for you because it means that, unlike when dealing with a professional burglar, you won’t have to spend big money on an advanced security system. Police reports show that the vast majority of these opportunist burglars rely on stealth to get the job done. A relatively simple and inexpensive security system can take that away from them totally, rendering their activities almost impossible in your property. Our services in Brighton also offer key cutting for all types of home, car, work and office security. Whether spares or an emergency set, our key cutting services can use the codes available on the locks and keys themselves, along with digital key cutting equipment that relies on computer controlled precision and fit. Cheap, quick and convenient key cutting services are possible without any loss of quality. By using the highest level of precision, we blend a mixture of traditional and modern locksmith’s expertise and computerised equipment to duplicate and make keys fit home or work systems. With so many, many years of expert experience, K C Locksmiths can work out the key ‘bite’ or shape just simply by looking the key to being duplicated. To ensure your peace of mind, our services as a master locksmiths also extend to 24-hour key cutting and replacement in the case of an immediate situation arising. Key Cutting is sometimes necessary for a wealth of different reasons. Whether you have recently changed your locks, lost your replacement, need a replacement or extra for your home, car, garage, storage or safe unit, key cutting services are essential to keeping your home, garage, car and office properly locked. Within your home, personal keys can also be made for existing sheds, bathrooms, bedrooms and offices - further still - keys are available for cabinets and safes, filing cabinets, and even outdoor home post-boxes. Replacement transponder keys, cylindrical keys and our highest technology security combination locks and for your home include a various range of branded key types, including Yale and Chubb, Mul-t-lock, Evva, Union, ASSA, Abloy, Ingersoll and Anker locks and keys. Your car keys are an essential item to keep safe and in good condition. Our Key Cutters in Brighton provide transponder car key duplication for many models of cars. Key cutting for a range of lock types, varying technology, price and complexity, Yale keys and locks are one of the most famous examples of cylinder lock systems. While burglary and cylinder lock snapping are still possible, the higher the quality of cylinder system, the less likely a break-in is possible. We know that the vast majority of UPVC doors and window use cylindrical locks and key units. ‘Diamond approved’ or ‘SS312’ cylinder lock and key units are made of the highest quality materials designed to prevent “lock bumping” or cylinder snapping. At the very least, all cylinder lock systems must have the universal three-star ‘kite-mark’ stamp - a hallmark that requires the use strong, durable materials in their manufacture. Correct fitting of cylindrical locks are crucial in their strength and durability. Most key cutting services take the codes available on the locks and keys themselves to then use digital key cutting equipment that replies on computer controlled precision and fit for a masterful and quick key cutting service. K C Locksmiths & Son offer multiple services to cover all aspects of home security installations. Covering both domestic and commercial dwellings, the following list is by no means extensive but indicates a large portion of common security measures installed. 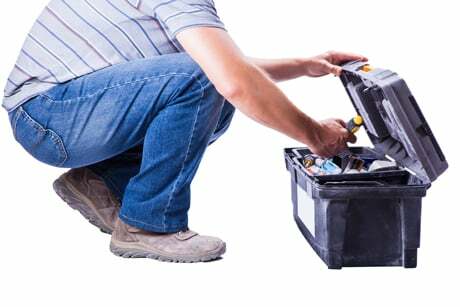 Our extensive range of services, and police approved, expertly trained master tradesmen are able to assess the vulnerabilities and weak points to adequately secure your property so you can be rest assured that the very best security measures are in place to deter and if it came to it, catch any thieves in action. K C Locksmiths aim to provide on site advice, as well as practical services and installation of security devices. The biggest misinterpretation made by the general home or commercial property owner is that the deterring of potential unwanted burglars and break ins are very easily rectified. The reality is, most burglars are by no means, professionals, in any way. They are generally opportunists! K C Locksmiths newest blog posts hope to offer a handy guide to various deterrents and tips to avoid your home becoming a target for any break-in, theft, and/or violation of your private living space - something, no matter our budget, we should have the right to feel - safe in the knowledge we are able to sleep soundly without worry that our home and contents are at any risk. Most opportunist thieves are deterred by small changes to your home security. Brighton and Hove Police reports that opportunist burglars rely on not been seen, or what is known as ‘stealth’ strategy to get away with your goods. A comprehensive security system can render this occurrence an impossibility. Call our experts for an no obligation quote. A discussion about your personal needs and to arrange a master locksmith to visit your property in question is advised, and a personalised programme of security can be installed and arranged to the highest grade or quality and workmanship. When you hire KC Locksmiths you are hiring Brighton locksmiths with experience. What does this mean in a practical sense? Well aside from the obvious - that we can open virtually any lock, it also means a quick efficient and polite service, with accurate quotes and we'll arrive in a timely fashion. In which areas of Brighton do we provide our 24 hour locksmith services? Can locksmiths open garage doors? Locksmiths in Brighton can open a huge variety of door types including house doors, garage doors, internal doors, as well as safes, cars and other smaller locks. Locksmiths are able to assist with opening doors in residential, commercial and industrial locations, ensuring that the service they offer is right for you. Can locksmiths open house doors? A large part of a locksmith’s job is opening house doors when people unfortunately become locked out. This can be done with the use of professional lockpicking equipment, ensuring the integrity of the lock remains in tact with minimal damage. Finding yourself locked out of your house can be a traumatic experience, and so a locksmith will work to help you as quickly and efficiently as possible. Yes. A professional locksmith will be able to open a safe if required in emergency situations. Yes. A professional locksmith will be able to pick locks if required in emergency situations. Locksmiths in Brighton use a variety of professional tools and equipment to ensure minimal damage to the lock itself, avoiding the need to replace a lock wherever possible. Can locksmiths program car keys? Yes. A professional locksmith will be able to program car keys if needed, as well as provide replacement keys or repair a damaged key. what do locksmiths charge to change locks? The amount of money charged by a locksmith to change a lock in Brighton takes into account a number of different factors. The time of day, type of lock and reason for the change can all affect the cost of locksmith services. It is recommended that you contact your local locksmith in Brighton to get an estimate of the cost involved in changing your locks. Fees for locksmiths in Brighton can vary, depending on the time of day, difficulty and any specialist skills or equipment that will be required to complete a job. Typically, if you require the services of a locksmith from 6pm to 8am you will be charged more for their time. Similarly, if a locksmith needs to obtain a specialist part that he does not carry with him then you may be charged extra for the time involved in a second visit. Finally, the amount charged by a locksmith in Brighton will depend on the size of the job and the complexity of the locks involved. Locksmiths in Brighton offer a range of services to suit your needs. For example, locksmiths are able to assist in emergencies if you find yourself locked out of your home or car. They can repair broken locks, service safes and all types of lock, program car keys and even simply offer advice on how to better secure your home or business. Within Brighton, locksmiths are able to provide their services for residential, commercial and industrial customers to suit your needs and ensure your property is secure. What do locksmiths use to open doors? Locksmiths use a variety of professional lockpicking tools in order to open doors. A trained locksmith should always attempt to pick the lock in the first instance, using a hookpick, slim jim or any other professional tool. More destructive methods such as drilling will be used by locksmiths only as a last resort if the lock cannot be picked. What services do locksmiths provide? Locksmiths are not only available to help with cutting new sets of keys; in fact there are a large number of services generally provided by locksmiths in Brighton. These can include assistance when locked out, lock installation, servicing all kinds of locks and programming car keys. Locksmiths are also available to provide advice when considering your own security needs and they can even provide repair services. What tools do locksmiths use? Professional locksmiths typically use a variety of different tools for different jobs, for example; a hookpick, which is used by locksmiths to pick many kinds of lock; Slim Jims, otherwise known as Lockout Tools; Jackknife picks and Bolt cutters. People often overlook the need for window locks; something which is actually commonly insisted on by insurance companies. Window locks should be operated with a key, and all windows on the ground floor or otherwise easily accessible should be fitted with a window lock in order to ensure security. Perhaps the most common mistake that people make is leaving their keys inside and accidentally becoming locked out of their property. Many locks fitted these days come with a spring latch bolt which locks automatically when the door closes, meaning that it is very easy to end up on the wrong side of the door without your keys. Locksmiths are able to help in this situation, using professional tools and equipment to help you regain access to your property. A mortice lock requires a “pocket” to be drilled into the door and the lock is fitted into the door itself. It is usually fitted by a professional locksmith and should be British Standard if it is being used on an external door. A Rim Cylinder lock is a very common and convenient lock used for doors, usually with a nightlatch. This type of lock uses five pins and are used with a key. It is usually the top lock on a wooden door. British Standard locks (BS3621) are tested meticulously and must be anti-theft and attack resistant. They must also use a five-lever design, include an anti-pick mechanism and be unaffected by drilling. Many insurance companies will require that your locks meet British Standards, and you can tell if they do by a kite mark which you will find carved into the cylinder of the lock or ask your local Brighton locksmith to check. Locksmiths generally advise to avoid using WD40 for lubrication, a common mistake, as it won’t help in the long term. However, there is actually very little need for regular maintenance of most locks as normal wear and tear cannot be stopped. Which is superior; digital locks or the traditional lock and key system? Digital locks have many advantages, but can take some getting used to and it is a matter of personal taste. They do not require a key, which can be easily forgotten or lost and separate keys need to be cut for each individual who needs access to the property. However, if you forget the pin you could become locked out after all. Both types of lock have benefits and drawbacks and it is up to the individual to decide your preference, but a locksmith can provide helpful advice tailored to suit your own needs. What is the first thing someone should do after being burgled, before calling a local locksmith? In the unfortunate event of a burglary, your first action should always be to contact the local police in Brighton immediately. This is especially important if you discover a burglary while still outside of the property – do not touch or move anything as there is a risk you could accidentally contaminate evidence. If you have CCTV installed, check the cameras, and if you saw the burglars write down their description as soon as possible. It’s important to then make a list of all stolen items and their value, which can help both in the retrieval of your goods and with insurance claims. What is the best deterrent to burglary a locksmith can arrange? There are a variety of deterrents for burglars available so it’s a good idea to do some research and perhaps contact your local locksmiths in Brighton for some advice. Alarm systems vary in features, for example some will contact the police automatically, some can be linked to your mobile phone to contact you if unauthorised access is detected, and you could even consider dummy alarms which may not work fully but will certainly act as a caution. You could also consider CCTV, which is no longer as expensive as you may think and can be accessed from your mobile phone. Finally motion detector lights can work very well as a deterrent, warning potential burglars away from your property. What is the best way for a locksmith to ensure the security of an office? Ensuring the security of your office doesn’t have to be complicated; an alarm system or CCTV can make a real difference. There are many options available, with some alarm systems contacting the police automatically and CCTV that can be remotely accessed from anywhere. Locksmiths also recommend ensuring you are using British Standard locks – if not, you should consider contacting KC Brighton Locksmiths for an upgrade. This can even save you money on the cost of insurance! Finally, if you keep cash or high value merchandise in your office, you should consider an AIS (Association of Insurance Surveyors) approved safe to keep items safely locked away. Deciding how frequently to change locks on a commercial property or office will depend on a few aspects, for example the type of lock you have or how frequently your staff changes. Standard locks with a key can be easily duplicated and so should be changed more often than stamped keys. Brighton locksmiths can install a variety of different locks with varying security levels, for example digital door locks that require a security code. These codes can be easily changed so these locks are considered to be very convenient for offices. The higher the value of items kept on the premises, the higher level of security you should consider, which should be reviewed more frequently. Locksmiths in Brighton usually would not recommend changing your locks unless there is a problem with your existing locks or you have concerns about the security level of your home. If you are interested in an upgrade or repair, just give your local Brighton locksmiths a call. Unfortunately, you may have concerns that someone may have unauthorised access to your home for a number of reasons. Perhaps you’ve had your keys stolen or lost a spare set. If you are ever concerned, it is a good idea to call a locksmith and ensure that your property is secured by a professional. What does it mean when a lock is up to BS3621 standards? Commercial properties are usually subjected to heavy wear and tear due to every day use and so usually require grade 1 locks – the strongest available. In Brighton, commercial locksmiths will also be able to install and repair a variety of security systems specifically designed for commercial use; panic bars, master key systems, safes and filing cabinets. Locksmiths will usually recommend a grade 2 lock for homes with slightly heavier daily traffic and light commercial use, with grade 3 used for most residences. Although professional locksmiths will usually be able to work with both residential and commercial locks, Brighton locksmiths will generally specialise in one or other type of lock. While commercial locksmiths will handle all aspects of keeping your business secure, residential locksmiths will focus on helping you feel safe in your home. Commercial and residential properties require different grades of lock, which your locksmith will be able to advise you on.